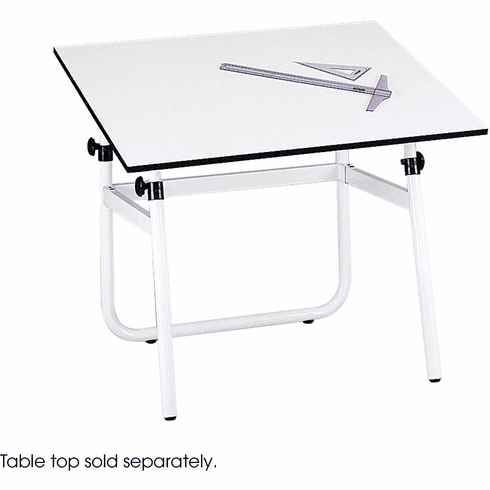 Professionals, beginners and hobbyists will like the flexibility of a Horizon drawing table. Tubular framing provides manual height adjustments, making it ideal for all ages. At home, it also saves space with an easily angled top that makes it compact for storage. A laminate work surface handles all mediums. Product Height: 29 to 45"